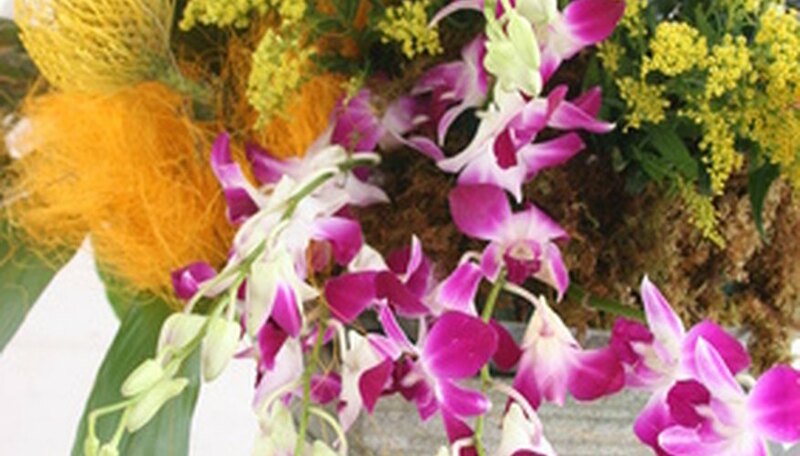 Floral arrangements for graves can be made with minimal time and effort, and often at a fraction of the cost of premade arrangements. They can be created according to holiday or season, or for any occasion. Homemade floral arrangements are an attractive alternative to store-bought. They provide a more personal touch that accentuates the creator's emotional connection to the deceased. These arrangements can be made in an assortment of ways. For more visual appeal, add other items to the containers, such as small teddy bears, pendants or photographs. Create a seasonal arrangement using a basket as the base. Paint the basket, if desired, using spray paint. Place floral foam into the basket and poke holes with a pencil into the spots where the flowers will go. Put adhesive on the stems of the flowers just before placing them into the foam to hold the flowers in place. Place taller flowers into the back or center of the basket and fill in with shorter flowers. Add a ribbon and place the basket in front or to the side of the gravestone. 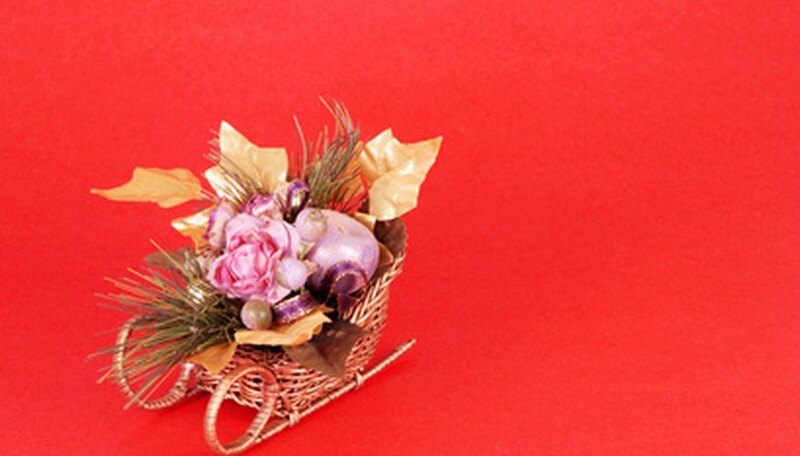 Make a holiday arrangement by using a sleigh or other decoratively shaped container as the base. Paint designs or borders on the container using a brush. Place the floral foam inside the area to be decorated and poke holes where the flowers will be placed. Adhere the flowers to the foam and add holiday inserts or picks to the arrangement for a more decorative effect. Arrange flowers in foam atop a metal or plastic grave-top anchor, which holds flat arrangements in place. Glue the foam securely to the anchor before beginning. Use shorter lengths of flowers and small picks for decorations. Add a ribbon and place the arrangement on top of the gravestone. Use a vase to create everyday arrangements. Place small rocks into the bottom of the vase for weight. Place the chosen flowers together in a bunch and add a flower insert or pick into the arrangement. Place this bunch into the vase, securing with adhesive, if desired. Tie a ribbon around the neck of the vase. 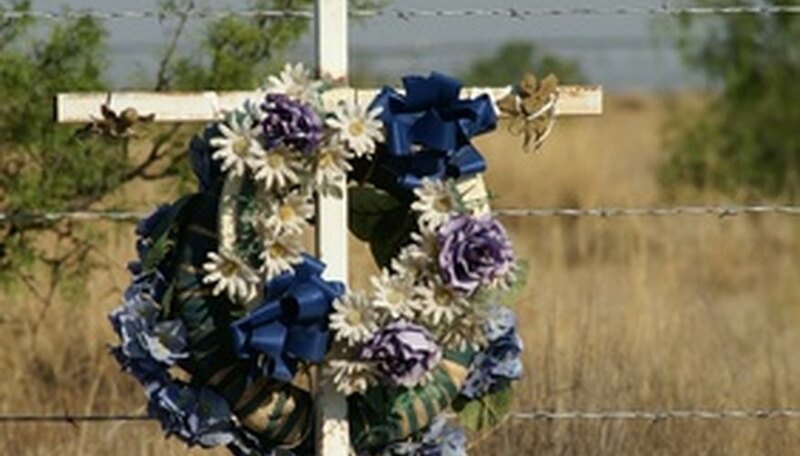 Create a simple arrangement by placing a decorative ribbon around a bunch of flowers and then placing them on the grave. 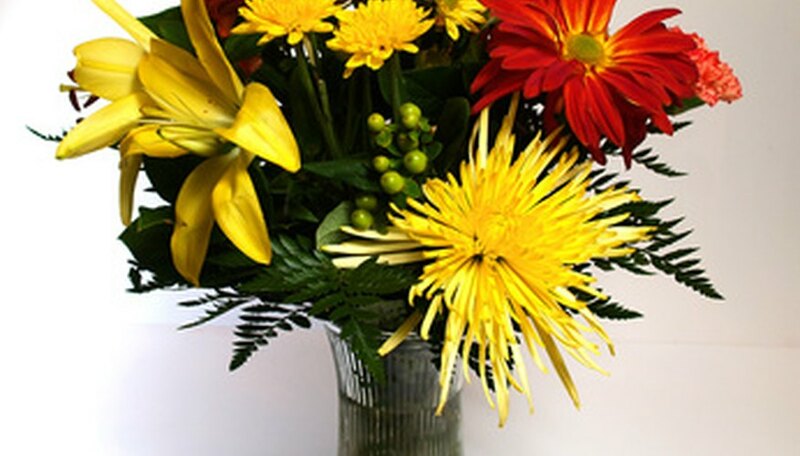 You can save money by purchasing artificial flowers at discount prices after the holidays. Grow plants in pots to create living arrangements. Dry fresh-cut flowers to create dried arrangements. Choose plants and decorative items according to the season or other occasion. Shannon Buck is a freelance writer residing in the small town of Milford, Maine. Her work has appeared on several sites including GreenandSave.com, where she writes The Green Mom column. She has written on many subjects including home improvement, gardening, low-income living, writing and homeschooling.